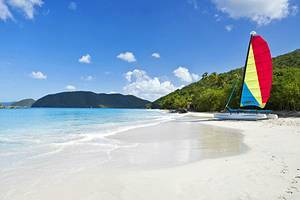 The three islands and 60 cays that comprise the US Virgin Islands have some of the best white-sand beaches in the Caribbean. 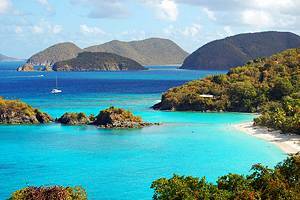 St Thomas, St Croix, and St John are the ports of choice for cruise ships and yachts. Popular activities include hiking, diving, snorkeling, fishing, and kayaking.